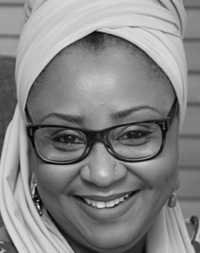 Hadiza Isma, First Lady of Kaduna State is set to release her debut novel – AN ABUNDANCE OF SCORPIONS. It will be launched at the 2017 Ake Festival!!! Following a harrowing family tragedy, Tambaya decides to leave Kano in search of new opportunities. She heads to Ghana where her brother, Aminu, lives. Unfortunately, Tambaya’s dreams of starting over are dashed when she can no longer endure the indignity at the hands of her brother’s new wife. Tambaya returns to northern Nigeria and soon finds work as a matron in an orphanage, under the watchful eye of the ruthless Miss Scholastica. Just when she begins to settle into her new life, an unexpected visit threatens to destroy everything she has built. Tambaya has to make difficult choices to keep her life from unravelling once again. Vulnerable and surrounded by malice, corruption and greed, Tambaya struggles to shape her destiny. 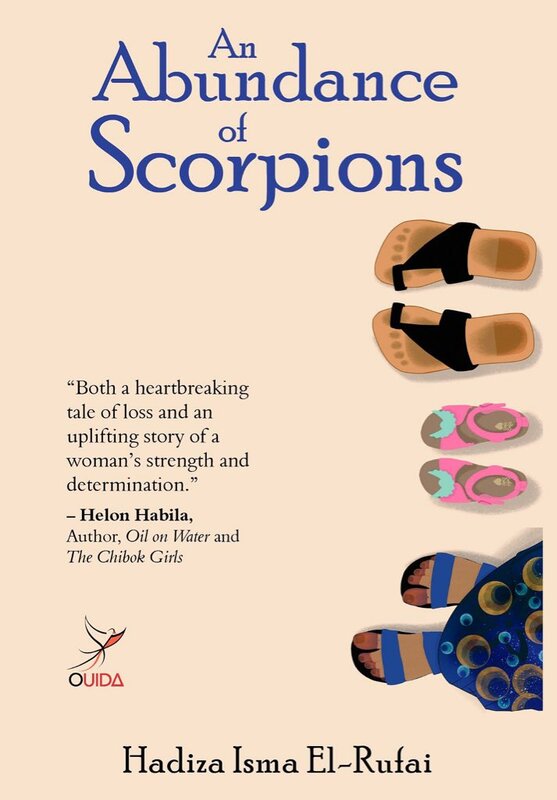 An Abundance Of Scorpions charts one woman’s journey through grief and uncertainty to a road that leads to self-discovery, love and redemption. ‎I know little about Hadiza Isma El-Rufai and so I was prompted to do a mini research. It’s not everytime one hears that a first lady is a writer. I was intrigued with everything I found. Hadiza El-Rufai has always loved literature, this love made her go back to the University for an MA in Creative Writing. Few months after the completion of her programme, she lost her daughter. And so in honour and memory of her daughter she started the Yasmin El-Rufai Creative Writing Workshop. At the Yasmin El-Rufai Creative Writing Workshop held on the 14th of April 2013, she read a beautiful eassay titled: SERENDIPITY – CREATIVE WRITING, YASMIN AND I – you have to read it!!! Yasmin was an avid reader and an excellent amateur literary critic. In the words of her friend Dipo, “she had a ranging loping intellect, a fierce intellect that absorbed the serious and the silly (as she put it) books and movies in equal measure. She discussed Austen’s ‘Pride and Prejudice’ – one of her favourite books – with the same passion and delight as she would of Milne’s ‘Winnie the Pooh’. I set up the Yasmin El-Rufai Foundation in memory of my daughter who passed on in 2011 and I thought the best way to immortalise her was to do something in an area that I know would have interested her, which is creative writing and literacy in northern Nigeria. So, I set up this foundation which has two key programmes. First, the creative writing programme through which we hope to nurture creativity in children, particularly the girl child, between the ages of eight and 19. The second one is the women’s literacy program. We want to target young women, whether married or unmarried. Some may have finished secondary school and still want to enhance their literary skills. We are also targeting women who have dropped out. You know in this part of the country (north), women sometimes drop out of school as result of early marriage or lack of money to continue their education. When a family is faced with choices; more often than not, they would choose to educate the boys in the family, rather than the girls. We have already identified locations that we would go to; we are also going to communities where they would give us space and we’ll give them the resources with teachers and the books that they need to enhance their literacy. I genuinely can not wait to read her book. I know little about the lives of Muslim women in the North. I personally think it would be beautiful to live their lives through the pages of AN ABUNDANCE OF SCORPIONS.